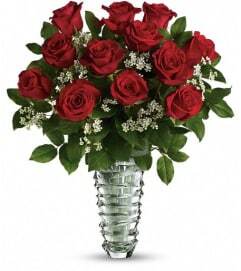 A special show of kindness, on Valentine's Day or any day of the year! 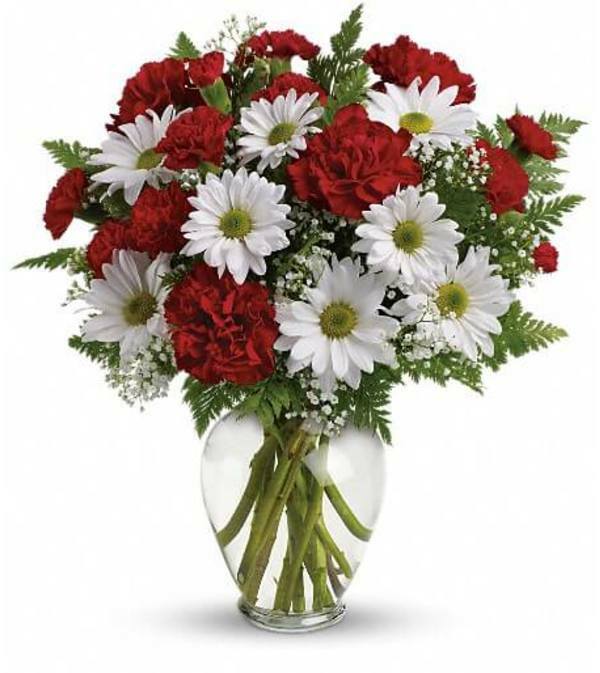 This eye-catching arrangement of red carnations, white daisies and delicate baby's breath will surprise and delight your special someone - and remain a treasured memory for years to come. 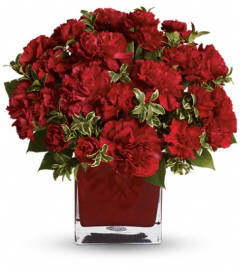 Red carnations, red miniature carnations, white daisy spray chrysanthemums, baby's breath and leatherleaf fern. 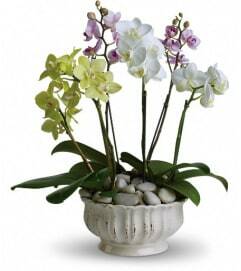 Delivered in a spring garden vase.